🎃 Special Limited Edition Swag Bags! 🧛‍♂️ Skip to the front of the line contest! Make sure you RSVP for the event on Facebook to get all the latest updates on vendors, swag bags, contests, and MORE! WE PROMISE YOU WON’T GET A ROCK! HOWEVER, OUR SUPER AWESOME SWAG BAGS WILL ROCK YOU! The first 25 adults through the door get a SPECIAL LIMITED EDITION PRFM LORAIN SWAG BAG filled with coupons, stickers, buttons, freebies, goodies, and much more from our vendors! 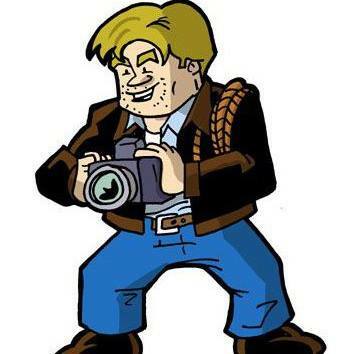 NEO ComicCon – NEO ComicCon is an annual Family-Friendly Comic and Fanfest held in August and promotes Comic and Toy Collecting, Supports the Local Comic retailer community and helps make collecting fun. We are an official Make-A-Wish charity and will have exclusive events during the show to raise money for this terrific organization. We are also on Facebook and Twitter, so make sure to like and follow us! Mother Truckin Tasty is a Cleveland based food truck. You can find us serving up fresh and delicious food at local events, festivals, and more! We can also bring our food truck to your next party or local business. We keep our truck clean and our customers satisfied with awesome food and great service. Zombie-Works – Jeff Hartz (aka “Buzz Zombie”) is a freelance artist located in Cleveland, Ohio. Trained as a wood craftsman, he holds a Journeyman’s card in Patternmaking. His love of horror and the macabre took him into the gothic underground of Cleveland, where he formed artistic relations with popular local talents. Several associations carry his artwork across the country. He is now making these pieces available at Zombie-Works.com Also on Facebook and Etsy. Perfectly Twisted Creations – I am an avid crafter and artist who has a soft spot for the strange and unusual. I love expressing myself through a lot of different mediums from paints to clay and jewelry work. I am always looking for new ways to combine my art and crafts. I am glad to share my journey and work with anybody who wants to venture into my perfectly twisted little world. Edifice Photography – I’ve always been known as a bit of a juxtaposition. Deep, insightful, and emotional with a wide streak of wit and quirky humor. You’ll find the same range within my photography. I see such profound beauty in the spaces that others have abandoned. Where “man” begins to decay and nature accepts it as one of its own. I also enjoy capturing “pearls of wisdom” graffiti. Be it blatant profanity, oddly encouraging advice or eyebrow-raising verbiage….it all appeals to my vision as an artist. Claude Raymond Design – Steve Vihtelic’s Original One Of a Kind Faerie and Goblin Figures and “dolls”. Also on Facebook. Pugsley’s Room – We sell oddities, antiques, art, religious items, old medical items, used books, taxidermy, wet specimens & more. 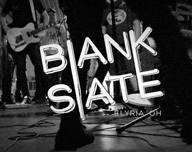 Eerie Elegance – Custom slate art, jewelry, hats, clothing and more by Cleveland artist, Beth Biasella! Alice Woods – Items featuring skeleton hand hair clips, creepy storage coffins, cheeky cross stitches, mini watercolor paintings and a few other random spooky décor. 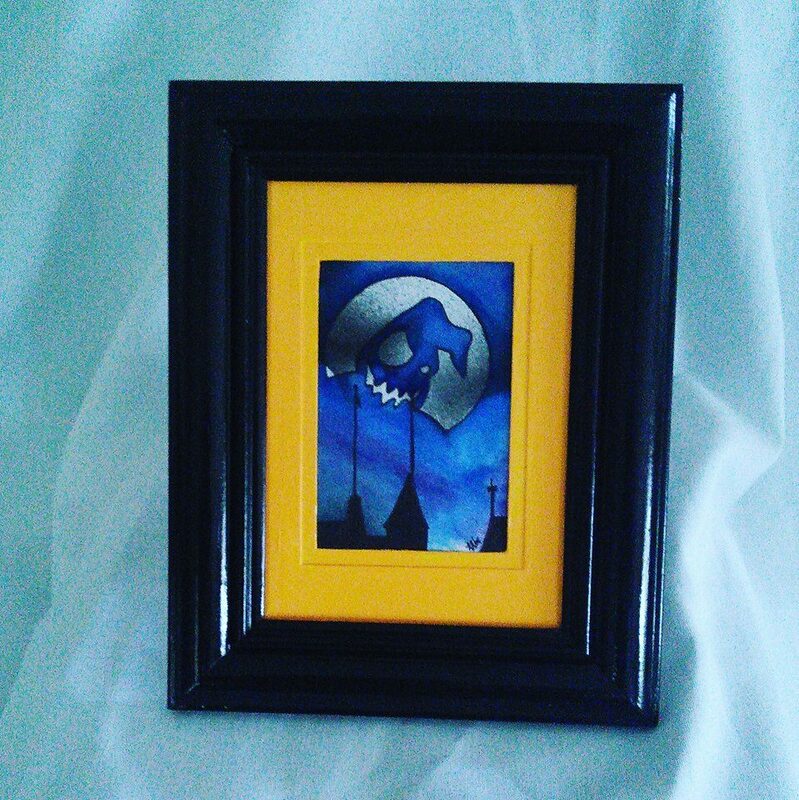 Also, check out my Etsy. Mischief Factory – Welcome to The Mischief Factory. A place full of weird monsters, big robots, and superheroes. So come check us out and get into it! 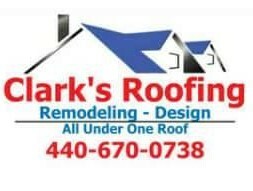 Check us out on Facebook! Darkside Desserts – We will be there with assorted chocolates, gourmet flavored popcorn, and other assorted seasonal and festive goodies. 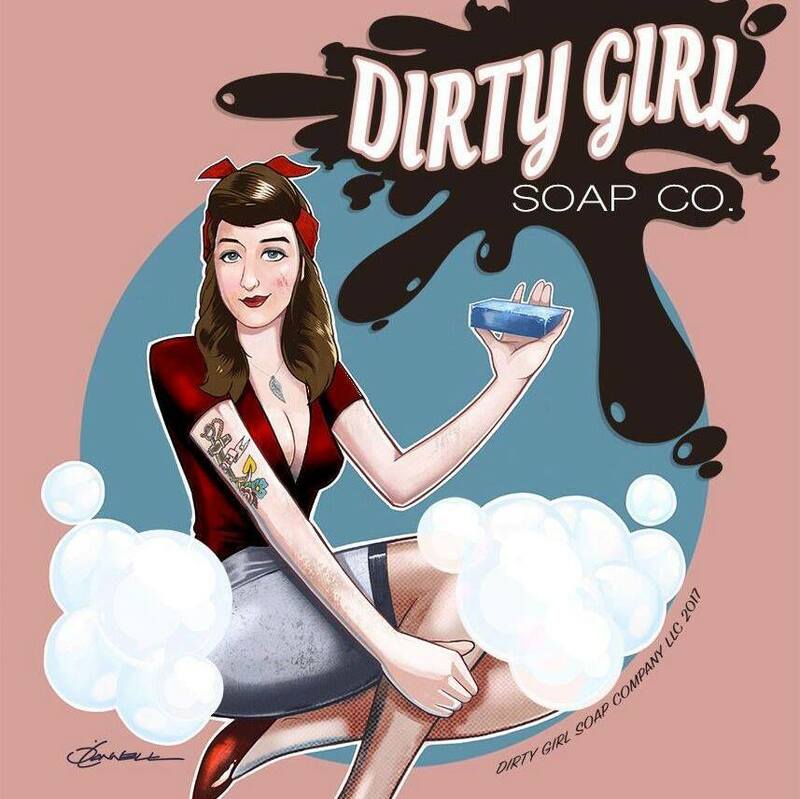 Dirty Girl Soap Company – Dirty Girl Soap Company is a woman-owned, woman run, feminist as F%*K, body positive organization that believes black lives matter, women’s rights are human rights, no human is illegal, science is real, love is love, and kindness is everything! We are locally made, badass biker friendly, fair trade, organic, and all other crunchy things. In short, we’re the hottest thing in getting clean, since getting dirty!!! Live dirty, get clean! 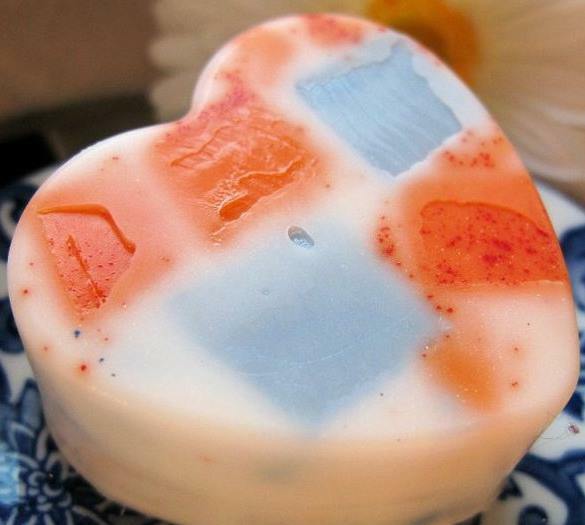 Like Dirty Girl Soap Company on Facebook! 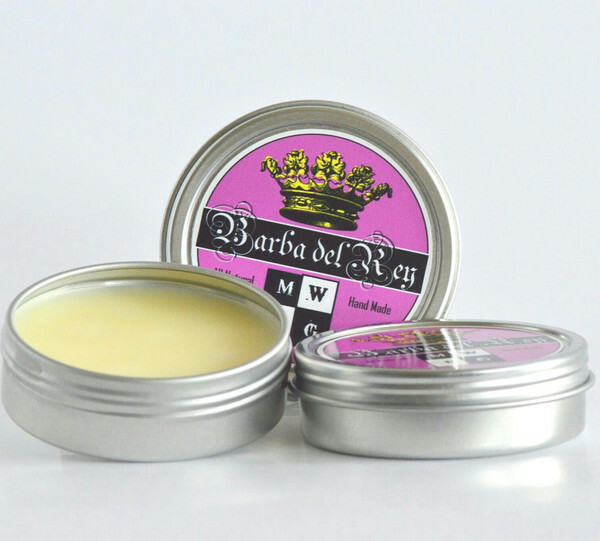 Midwest Best Grooming Co. – Midwest Best Grooming Co. Will be present and ready to turn those bristly beards into silken man manes!! Stop by and see us at this unique and exciting event! The Cement Head – Unique And Rare Concrete Statues. Great For Home/Lawn Decor, Dry Pet Enclosures. On Facebook and Instagram as well! Nemesis Productions/Spooky Grrrl Bath & Body – Spiders, bats and black cats…that’s what little spooky grrrls are made of! Welcome! I love bath and body products, adore making them and want to help make your personal care routine anything but boring. Don’t worry if spooky stuff isn’t your thing…I have a little something for everyone! Visit Spooky Grrrl Bath & Body on the web! Castle & Moon Jewelry – Gothic, Medieval, Mystical, and Vintage inspired pieces. Custom work available as well, just ask! 1313 Macabre Ln. 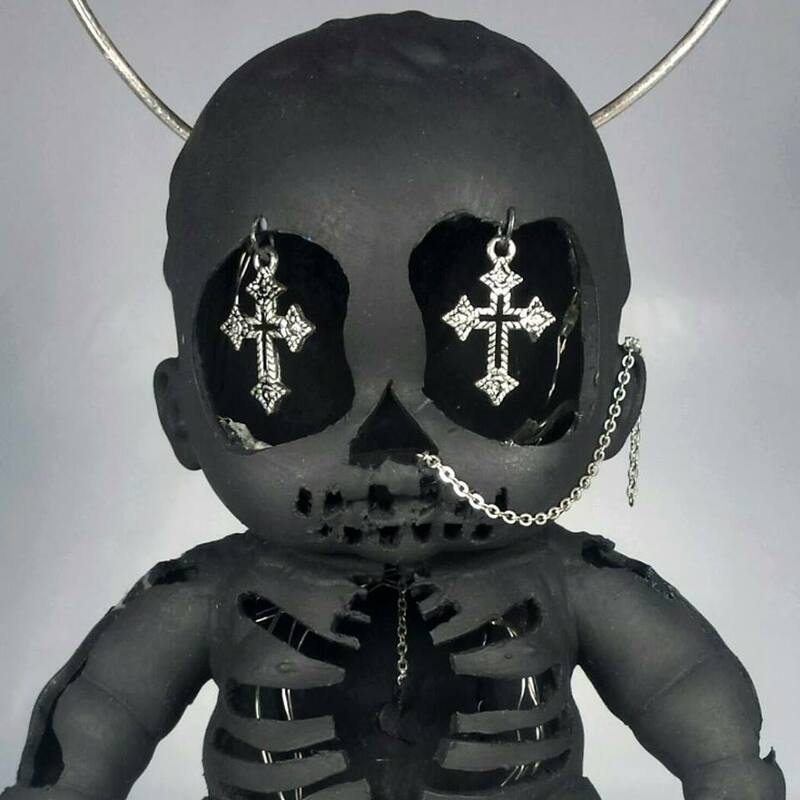 – handmade jewelry (with cd’s and also wire, but not wire wrapping), painted “horror” baby dolls, clothing (some from scratch/ some just altered), wire beaded spiders, Krampus dolls from scratch, purses, crochet plushies, and my newest thing is making/soldering wire hearse carriages. DK Photography – DK Photography is a full-service photography studio specializing in senior portraits and model photography. We have displayed our expertise by photographing celebrities from Buck Cherry, Vanilla Ice, to Rachel Steele from 92.3 KRock. With DK Photography, you can begin your journey to becoming a celebrity or just looking like one. Mermaid’s End – Your retail shop for mostly handmade items and unique finds that are usually one of a kind creations. Also on Facebook! Nerdy Taco, LLC – Feed your inner nerd! Jewelry, collectibles and more. Interested in a custom piece, Just message me! 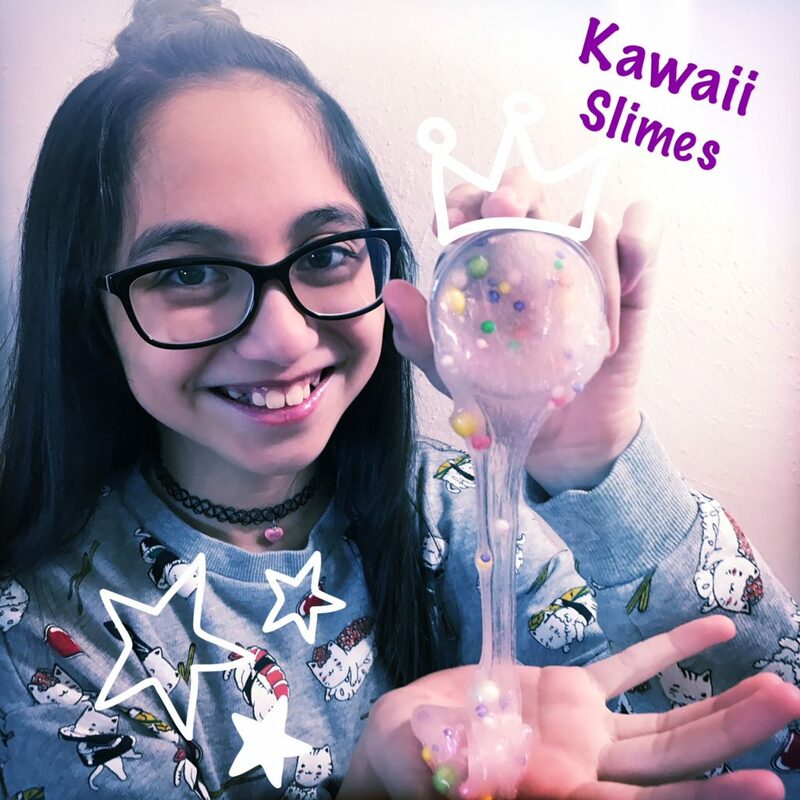 Kawaii Slimes – Creative homemade slimes. Both fun & relaxing to play with at any age. 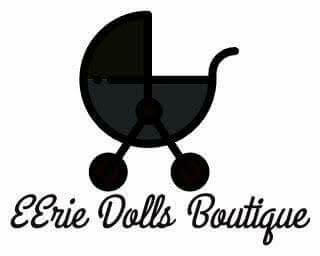 Eerie Dolls Boutique – Eerie Dolls Boutique is a mother and daughter owned business. We specialize in hand painted horror, fantasy, and sugar skull dolls. We also specialize in custom orders. If you can dream it, we can create it. AlterEgo Designs – A geek-chic, horror-friendly, anything-goes, custom boutique for you, your little ones, your dolls, and your imagination. AlterEgo Designs is also the ONLY place to buy Blockheads, the cutest little undead creepy-crawly critters you’ll ever meet! Also on Instagram! Queen Sized By Cheryl – Queen Sized by Cheryl is the beginning of a new era of plus sized costuming and clothing for the plus size woman. I make my costumes and gowns for the very full figured woman and with our unique body types in mind. Eerily Beloved – Eerily Beloved is here to bring you taxidermy art that’s never been seen before! We specialize in rogue, freak, and anthropomorphic mounts from animals that have died from roadside accidents and natural causes. We want to offer anyone in the market for oddities or unusual art, rare and one of a kind pieces that ensue whimsy and wonder! Also on Facebook. Vivien Ives – Vivien Ives is an up-and-coming artist based out of Cuyahoga Falls, Ohio. Originally from Rochester, New York, since her youth she has experienced emotionally powerful dreams laden with symbolic messages and fantastical scenarios. The dreams which she still experiences today have become the inspiration for her work. Watercolor is her medium of choice because its fluidity and vulnerability express the true depth of emotion translated within her dreams. Her self-taught technique is brilliantly unique as she somehow manages to capture morsels of reality within the illusion of a dreamscape. Starry Eyed Designs – I always knew I loved art. Over the years my passion for all forms of art has grown & become a myriad of designs. I have a passion for things that make the eyes sparkle & imagination wander. Nix Rock N Roll Comics – Ken Eppstein began publishing Nix Rock and Roll comics in 2011, focusing on comics, zines and graphic novels that are as at home in a record store as they are in a comic shop. If you like late night B-movie flicks, obscure and trashy punk rock record comps or old fashioned sock ’em in the teeth pre-comics code juvey delinquent rags, you’ll like Nix! Mars Stomp Boxes – We make handmade guitar pedals and audio electronics. Everything is original and handmade from the circuit inside to the artwork on the outside. We also do custom orders and repairs. Thrift King Vintage – Thrift King Vintage is a collection of vintage clothing and music from the 70s, 80s, and 90s, and sometimes even as far back as the 50s and 60s. I have everything from vintage band tees, sportswear, sweaters, jackets/coats, flannels, hats, cassettes, vinyl, and much more! I am also an amateur photographer, mostly dealing with nature/landscape, automotive and portrait photography. All pieces are diverse and fairly priced; something for everyone! Cleveland Kustom Creations – Cleveland Kustom Creations is a creative & innovative family ran company We specialize in providing you with the best, quality unique printed products. Rocks Are People Too – We started making jewelry to showcase our love of the natural beauty of gemstones and rocks. Electroforming uses acid, electricity, and conductive paint to dissolve copper wire and transfer it onto various cuts of stone. We try to find raw gemstones with a beautiful shape and surface created by Mother Nature to use in this process. Copper is sturdy, beautiful, and unique in its range of patinas and colors. Some of the pieces are oxidized with patina to give them a dark brown antique finish for a rustic and organic feel. Each piece is then polished and covered with a clear protective jewelry lacquer that will keep it looking freshly polished and will prevent tarnish. Every piece is one of a kind, brought forth by the nature of electrodisposition, often plating in fascinating patterns and textures. Copper is a lovely metal used by people since ancient times for jewelry making. Copper jewelry brings an antique mysterious aura to wearer… Never give up your daydream. Also on Instagram. Michael Civis is an artist, writer, Holocaust scholar, Lyft driver, and sometimes Literature professor from Dallas, Texas. His company, Mercutio’s Ghost Productions, seeks to create art that highlights hidden or unexpected beauty, something which he has found in abundance in the communities on Cleveland’s Eastside since moving here three years ago. 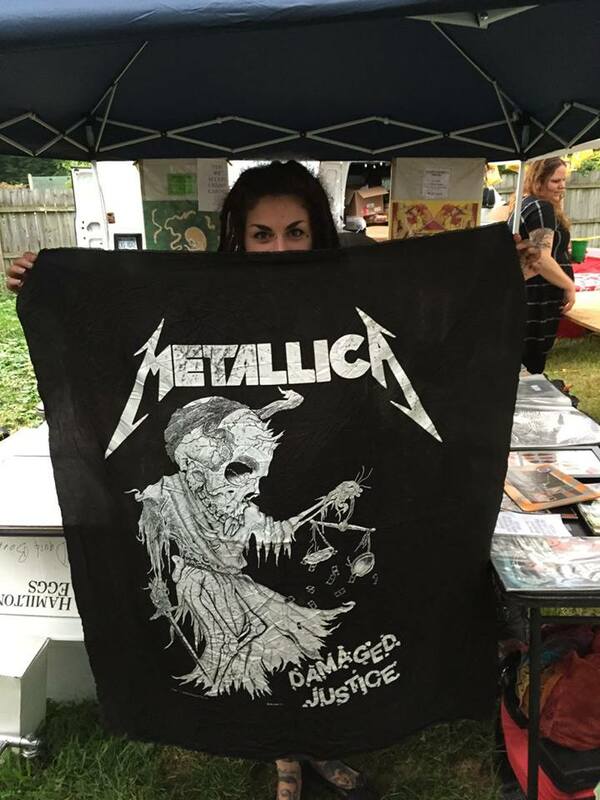 Since it’s public debut as a vendor in 2017’s Third Annual Halloween Heavy Metal Flea Market, Mercutio’s Ghost Productions has continued to create and sell magnificently macabre, hilariously haunting, and frighteningly phantasmagorical original art at a multitude of events and conventions throughout Northeast Ohio. Bestitched – Each item is handmade stitch by stitch with love, patience and a little bit of pixie dust. Keepsakes for children and adults alike. Big Blonde Designs – Big Blonde Designs will be there with some awesome distressed t-shirts and jeans, necklaces, bracelets, and earrings. Oda House – Oda House, built in 1910 has been under renovation for a few years and is fast becoming a safe haven for fearless creation and an inspiration for artists both young and old. You never know what you might find, but we’re sure you’ll find a wide variety of badassery. *all vendors, non-profits, and food trucks are responsible for their own individual licensing, taxes, insurance, and liabilities. PRFM Lorain, Laura Bock, and St. John Lutheran Church holds no responsibility or liability for any accidents that may occur at the event.